Secure™ Self-Adhesive Cable Clamps are a great choice for one piece bundling and mounting of cables, conduit, tubing and so much more. The molded open position makes it easy to mount cable bundles to the wall or ceiling while the smooth, rounded edges make these cable clamps easy to work with. 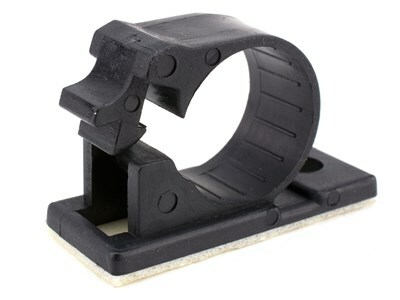 Self-Adhesive Cable Clamps are an affordable way to keep cables and conduit under control. 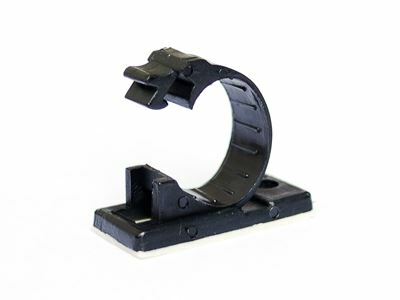 All Secure™ Self-Adhesive Cable Clamps have the max bundle diameter molded into the clamp for quick identification and are great for Indoor/Outdoor use to do their UV protection.